Pictured Behind the Scenes: Daniela Ruah (Special Agent Kensi Blye). 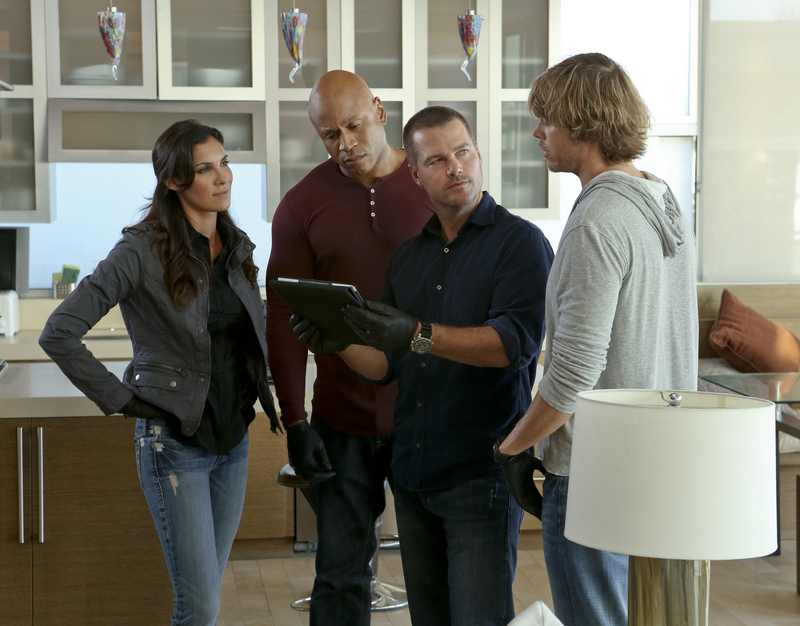 The NCIS: LA team questions the motive behind the murder of a retired CIA agent turned millionaire and in the process also questions what Hetty knows about the case. Photo: Robert Voets/CBS ©2012 CBS Broadcasting, Inc. All Rights Reserved.